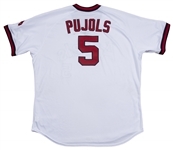 Los Angeles Angels slugger Albert Pujols wore this uniform during a two-game series with the Colorado Rockies on August 27th and 28th, 2018 at Angel Stadium of Anaheim. The Angels won the first game, on the 27th, by a score of 10-7, helped in large part by Pujols’ walk to load the bases in the bottom of the eighth inning. The Angels managed to turn a 7-5 deficit into a 10-7 lead heading into the top of the ninth thanks to Pujols juicing the bases with no outs. The future Hall of Famer wore the pants in this uniform during both the August 27th and 28th games. Pujols recorded a walk and an RBI in the second game, a 3-2 Rockies victory. Pujols’ RBI came on an eighth inning sacrifice fly that brought the Angels to within one run of the Rockies. The three-time MVP finished the 2018 season with 19 homers and 64 RBI while joining the 3,000 Hit Club on May 4th, 2018. 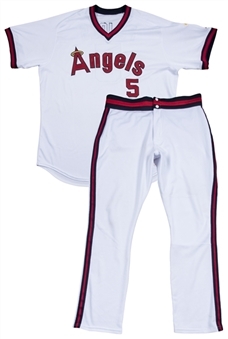 This offered home uniform is a throwback to the Angels uniforms in the 1980’s. 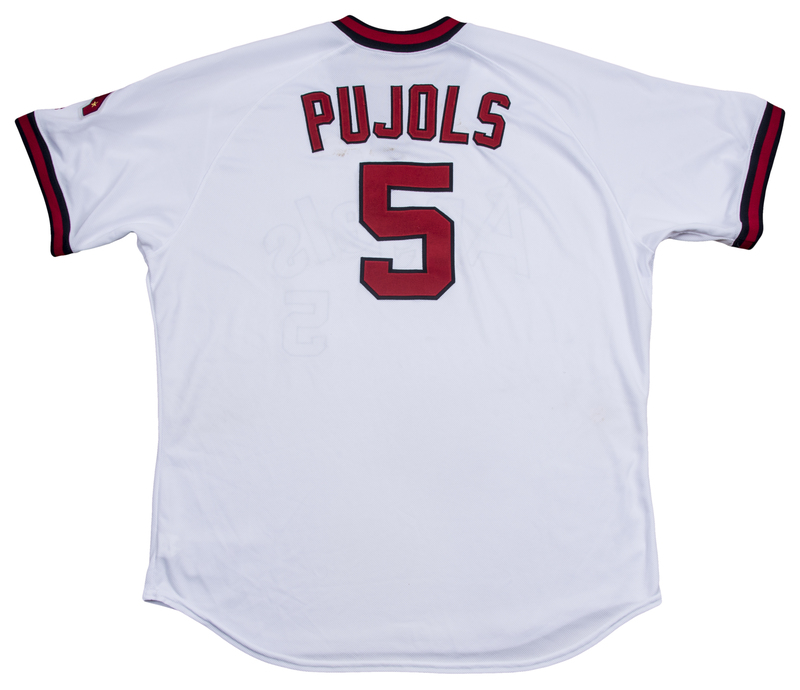 Pujols wore this jersey on the 27th only. 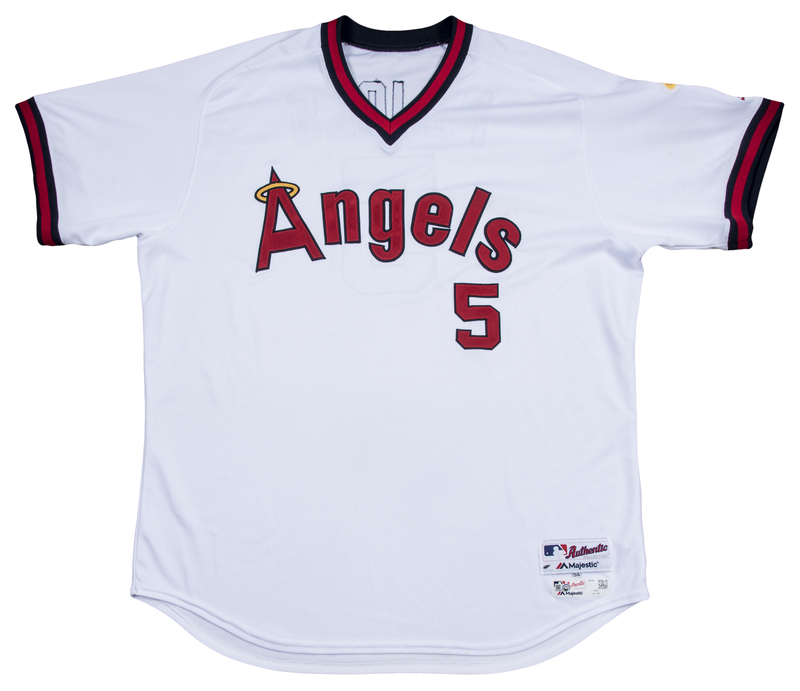 “Angels” and Pujols’ number “5” are sewn on the chest of the jersey in red and navy tackle twill, with a yellow and navy tackle twill halo around the “A” in “Angels”. 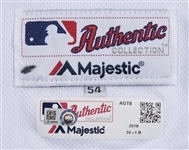 A California patch is sewn on the left sleeve above a red Majestic logo patch. 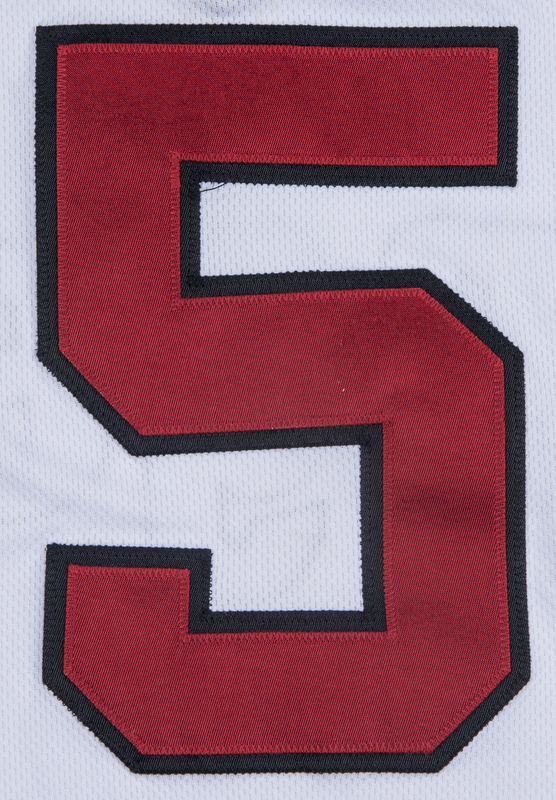 “PUJOLS” and his number “5” are sewn on the back of the jersey in red and navy tackle twill. 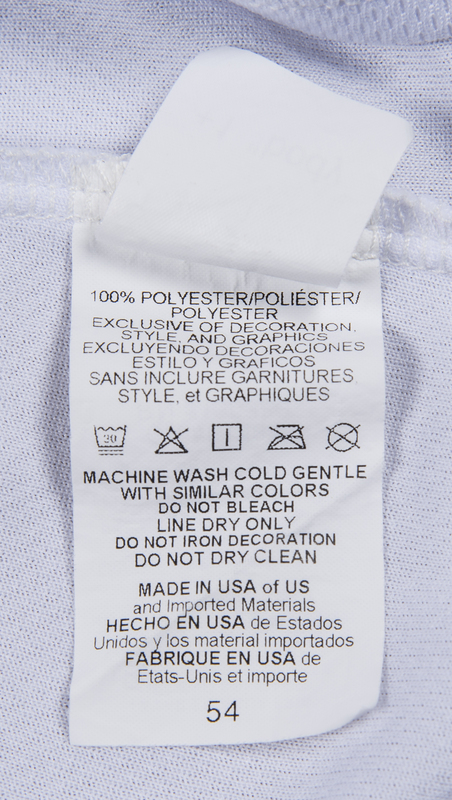 A Majestic tag with an attached size “54” flag is sewn on the front left tail. 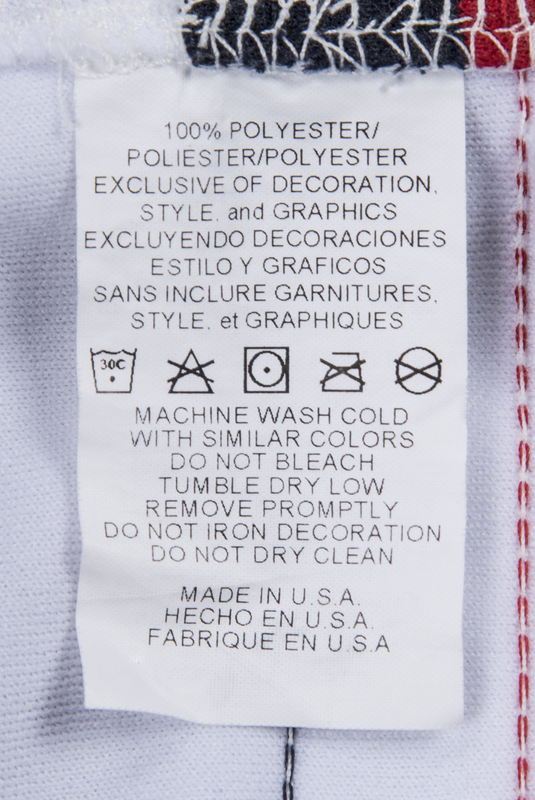 This jersey comes with a MLB Authenticated hologram (JD 163325). Also included in this lot are Pujols’ pants from the two-game set against Colorado. 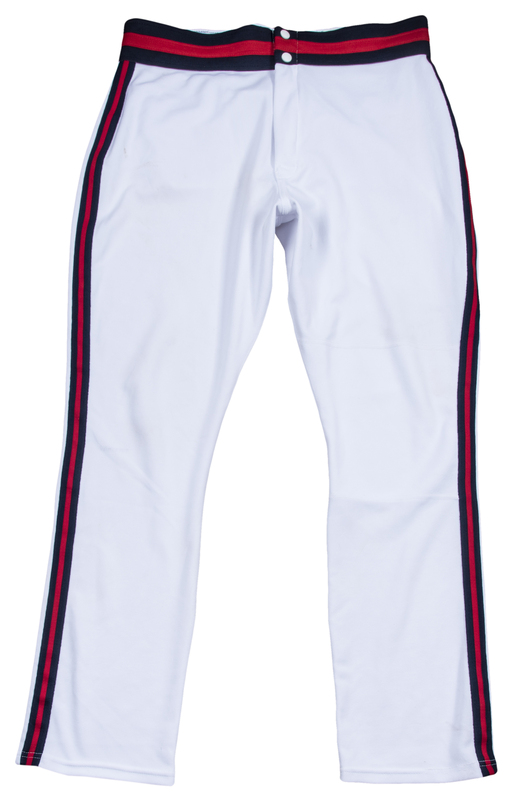 These sansabelt baseball pants have a navy-red-navy stripe around the waistband and down each leg. 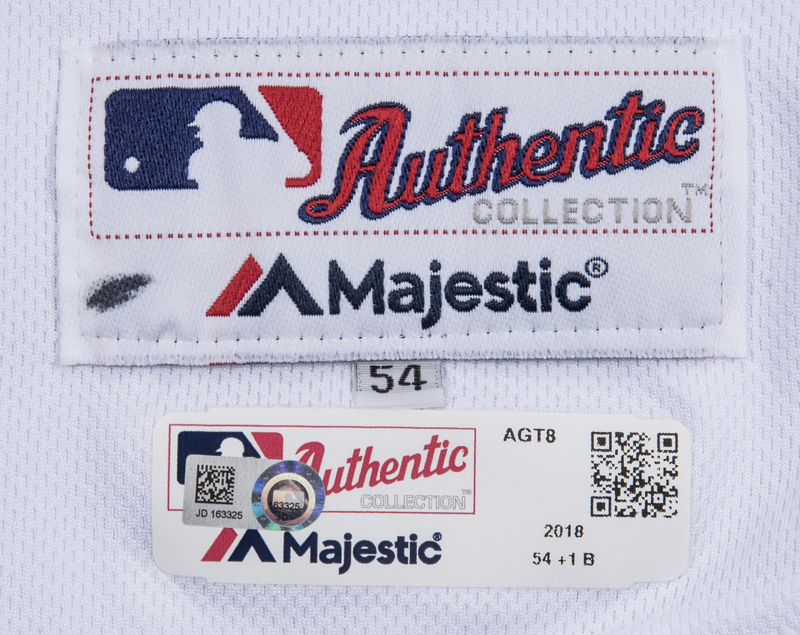 A Majestic tag printed with “#5 Pujols 2018 38-44.5-33.5 OBC” is sewn on the back inside waistband. 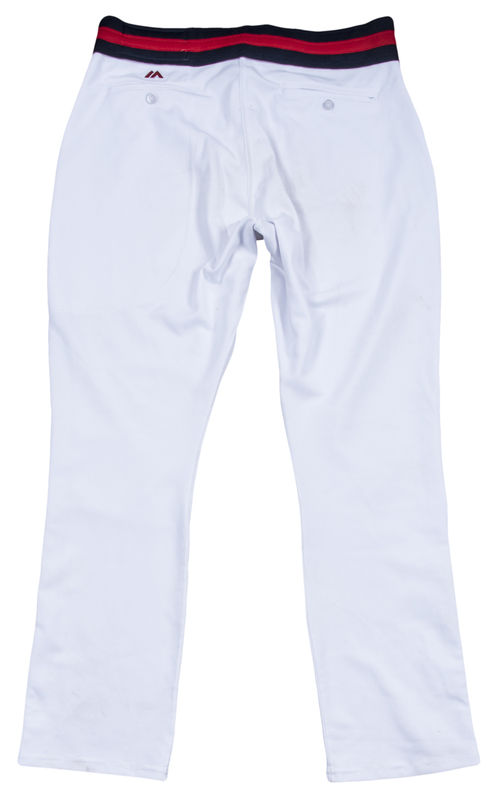 These pants come with a MLB Authenticated hologram (JD 163632). A full ticket stub from the August 27th game accompanies this uniform.